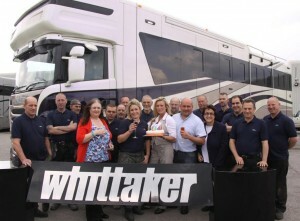 THINK of Whittaker Coachbuilders and you think of bespoke, luxury horseboxes that move with the times and use the very best materials and manufacturing processes. Throughout 2012 the Nottinghamshire-based company continues to go from strength to strength and this year celebrates 20 years in business. 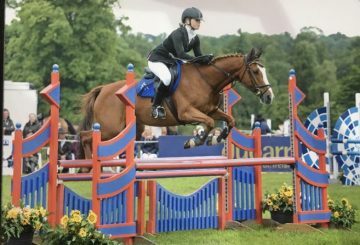 Says Jayne Whittaker: “We are delighted to be celebrating our 20th birthday it is a huge milestone and coincides with 2012 being such an important year for equestrian sports in the UK. “The last 20 years has certainly gone very quickly and the team here are looking forward to many more successful years ahead. The company was originally launched by Jayne and her husband Yan, working from a large barn at their home with Yan manufacturing horseboxes on his own for two years. “Yan decided to start building horseboxes after he bought me a horse for Valentine’s Day and went out to buy a horsebox. We discovered a gap in the market at the luxury end and after building the first one for me it just went from there,” says Jayne. “In 1994 Yan had a riding accident breaking his neck, collarbone, puncturing both lungs and damaging several ribs, so that he was unable to continue manufacturing by himself. 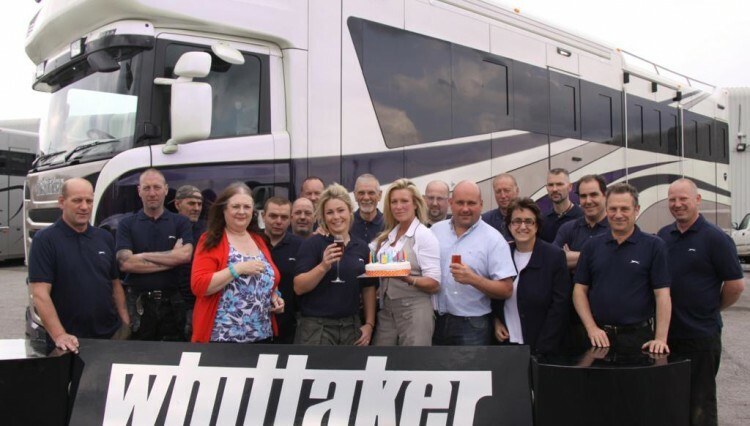 In 1996 Jayne and Yan moved to larger business premises at Gamston Airfield, near Newark and Whittaker Coachbuilders quickly became one of the leading quality horsebox brands in the UK, constantly innovating with new designs while maintaining and improving on already high standards. Adds Jayne: “In 2007 Yan was involved in a fatal car accident but I knew we had to continue with the business in his memory and to support the team, several of whom had been with the company for many years. Whittaker Coachbuilders maintains its position as one of the leading horsebox manufacturers in the UK concentrating on quality without compromise. Each horsebox is built to order with customers able to specify exactly what they want around a standard frame.